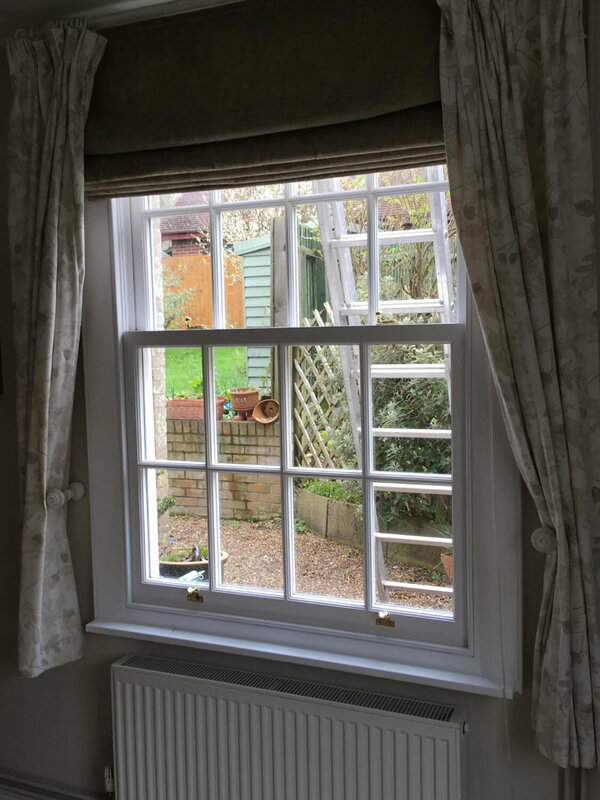 Replacement sliding sash windows for a property in Bury St Edmunds. These were made in Slow grown Douglas fir for durability. Hand painted on site this really made a transformation. 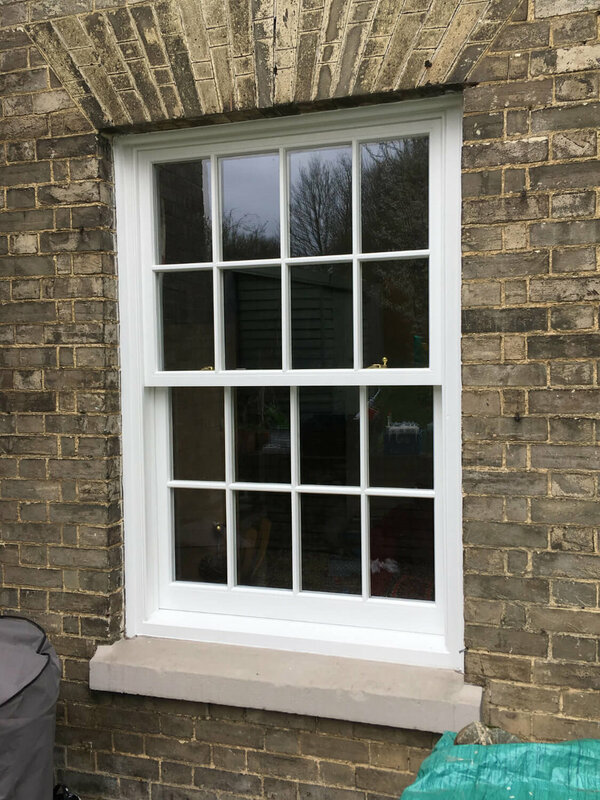 Whilst this was tricky to install, as the originals were single glazed, which meant the replacements were considerably thicker than the depth of the opening within the wall.